Computational Optical Biomedical Spectroscopy and Imaging covers recent discoveries and research in the field by some of the best inventors and researchers in the world. It also presents useful computational methods and applications used in optical biomedical spectroscopy and imaging. The book also discusses future applications, directions, opportunities, and challenges of optical biomedical spectroscopy and imaging in technical industry, academia, and government. This valuable resource introduces key concepts of computational methods used in optical biomedical spectroscopy and imaging in a manner that is easily understandable to beginners and experts alike. Sarhan M. Musa, PhD, is an associate professor in the Department of Engineering Technology at Prairie View A&M University in Texas, USA. He is the founding director of the Prairie View A&M University AVAYA Networking Academy. As a frequent speaker on imaging and computational optical spectroscopy, he has provided consultation for multiple organizations both nationally and internationally, and has written and edited several books. Dr. Musa is a senior member of the Institute of Electrical and Electronics Engineers (IEEE) and a Local Telecommunications Division (Sprint) and a Boeing Welliver Fellow. "... a comprehensive and state-of-the-art reference on computational optical biomedical spectroscopy and imaging. Researchers and graduate students who are actively involved in this field would benefit greatly from reading this book." 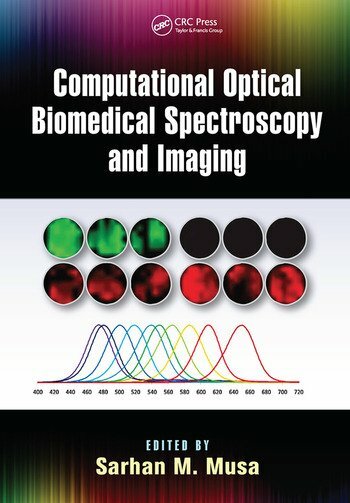 "… the main strengths of this book is related to the fact that it provides an interest insider viewpoints about computational methods in optical biomedical spectroscopy and imaging. It also included interesting reviews about modern approaches, methods, and techniques. Interesting perspectives are also clearly delineated. The instrumentation used for spectroscopy and imaging is also reviewed. This seems to me very interesting, too."